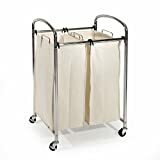 If you live in a building with a laundry room, have to travel to a laundromat or your house is just too huge to lug a heavy basket of clothes around, check out this cool new Rolling Hamper. 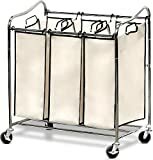 This innovative mobile hamper is designed like a rolling travel suitcase to easily and stealthily transport your dirty clothes and detergent to a laundry room and folds flat when not in use. 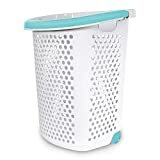 It holds up to three loads of laundry, has two exterior pockets to hold bottles of detergent, stain remover, and dryer sheets and two inner pockets that hold quarters, bills, and more. It features a telescoping handle, dual wheels for quickly navigating hallways and stairs and an interior lined with a removable mesh bag. Great solution. 7028 Cool New Items Discovered Since The Beginning.